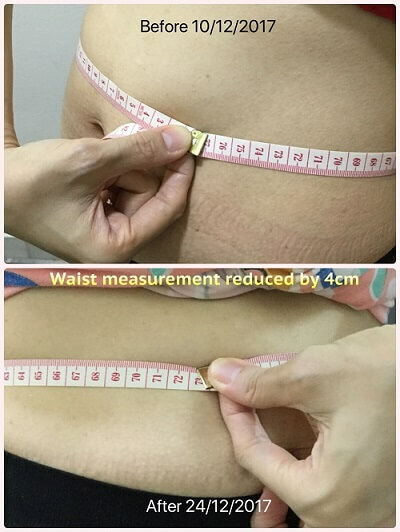 Japanese Slimming Pants Scam – Is The Slimming Pants For Real? Is the current hype on the Japanese slimming pants real of is it a scam? Are all the “before and after” pictures of people wearing the compression pants real or have been Photo-shopped? 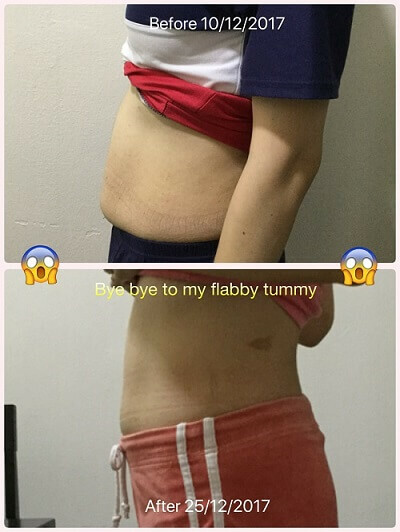 Since September 2017, the Japanese slimming and wellness pants have gain a lot of popularity in Malaysia, Singapore and also Brunei. When it was first launched in Malaysia, the company that imports the pants from Japan, BE International Marketing, sold more than 10,000 pieces. Due to its overwhelming popularity, many buyers have shared their “before and after” pictures from wearing the pants. Are you interested to know more about the Aulora Pants? If you do, I can send to you the product catalog. Just click the link below to contact me through WhatsApp and I will share the file. I believe you have seen these testimonials on your Facebook news feeds and also Instagram feeds from your friends, family members and maybe your colleagues. There are pictures showing men and women that have slimmed down, reduce their varicose veins, reduce their thigh size etc from wearing the leggings. I think the main question here is does the slimming and compression pants work? Will it help you to slim down and improve your overall wellness? Honestly, I can’t comment on other people’s experience wearing the pants. What I can share is my own results wearing the pants and my mother’s results. Just like many other people, I was introduced to the legging through Facebook. At first, I was very skeptical too. The results seems too good to be true. But I had very bad back pain from breastfeeding my youngest daughter for more than 36 months. I was looking for something to relieve my back pain. I actually wrote a long post on my decision to buy the pants on this blog. If you are interested, you can read the article here. What I can confirm and what I can vouch for is that after wearing the pants for 2 weeks, I don’t experience back pain anymore. Up until today, after wearing the leggings for more than 4 months, no more back pain. I didn’t eat or do anything different or changed my lifestyle…all I did was wear the pants when I go to sleep. Another results that I can confirm is my mother’s experience wearing the pants. My mum used to have swollen legs. When you press down with your fingers, you can feel that her legs are hard. She also has knee pain, shoulder pain and spider veins. I bought the pant for her as well and hoping her condition would get better. Just like me, she started wearing the pant back in December 2017. 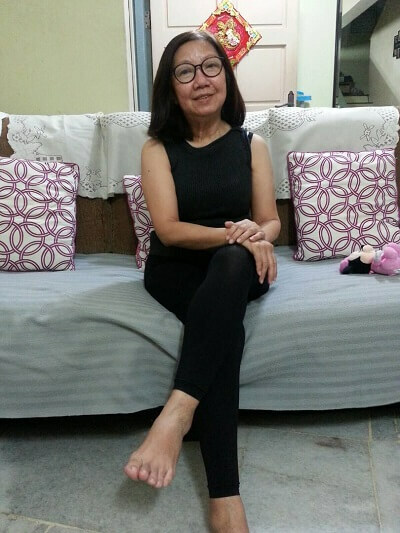 Up to date, my mum’s legs swollen has improved a lot and no more hardness when pressed. Her knee now has also improved. She doesn’t feel pain anymore and she can squat and do a lot of walking. Her shoulder pain is also no more and her spider veins have lighten. Bare in mind my mother didn’t experience any noticeable results the first 3 weeks wearing the pants. She actually commented I’ve wasted my money buying the pants. I told her to be patience and give the pants some time to do its work. As it turns out, all of us are different. Our body and metabolism are different. Some people with high metabolic rate will see results in just 7 days. My mom, with lower metabolism needed a longer time. It actually took her more than 3 months to really experience the positive results from wearing the compression pants. If you ask me, does the slimming and compression pants from Japan works? My answer is, yes it does work. I’ve experienced it myself and I’ve seen it working on my mother. I am 100% confident it works. If you want to see the results, you have to wear the pants at least 8 hours a day. Be patience and you will see the benefits just like everyone that have shared their “before and after” pictures on Facebook. Thank you for reading this article and I hope it was useful for you. Are you interested to try the Aulora Pants? As of October 2018, I do have existing stock with me. I just bought the pants 1 week ago and been wearing for more than 10 hrs each. I have itchiness and black spots on my legs. Why is it so? Please help. Hi Sarah, do you have any prior skin sensitive issues before you wore the pants? The itchiness is normal due to the increase blood flow on my legs. So HOW does this burn fat and promote health without exercise and healthy eating? The Kodenshi fiber actually works with skin contact. When the material touches your skin, it will absorb your body heat and activates the far infrared rays (FIR). The FIR is what causes your blood to flow faster. An effect of faster blood flow is higher metabolism which leads to faster fat burning therefore the slimming effect.